The overarching goal of our research is to design catalysts and catalytic processes that will advance the emerging biobased chemical industry. We interrogate complementary characterization techniques and combine reaction engineering methods with computational tools to fundamentally understand the intermediate’s chemistry and their transformations on catalytic surfaces. Our work addresses challenges associated with unconventional feedstock molecules, reactions in complex media, and the catalysts’ material chemistry under operation conditions. 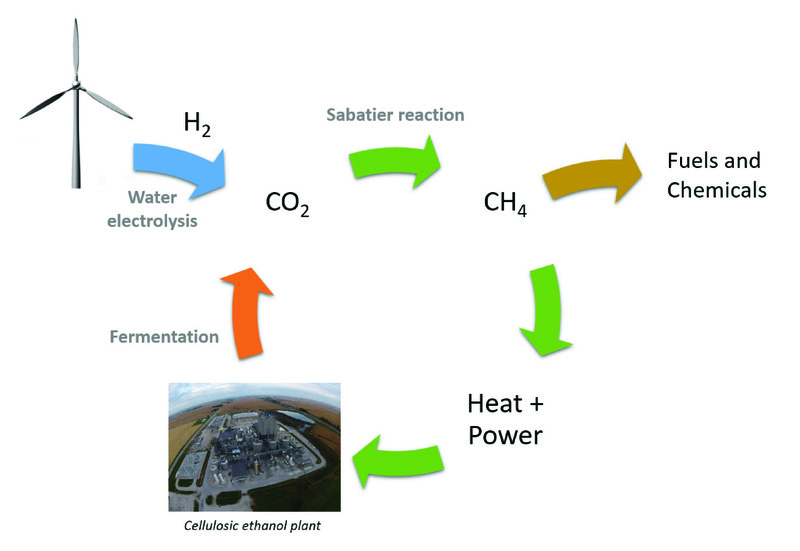 The production of renewable chemicals from biomass-derived carbohydrates commonly takes place in the condensed phase due to reactant and product degradation. While the use of green solvents leads to more sustainable processes, the stability of heterogeneous catalysts in liquid water presents a significant challenge. Functional carbons, as catalyst and catalyst support, offer here unique opportunities due to their tunability and inherent hydrothermal stability. 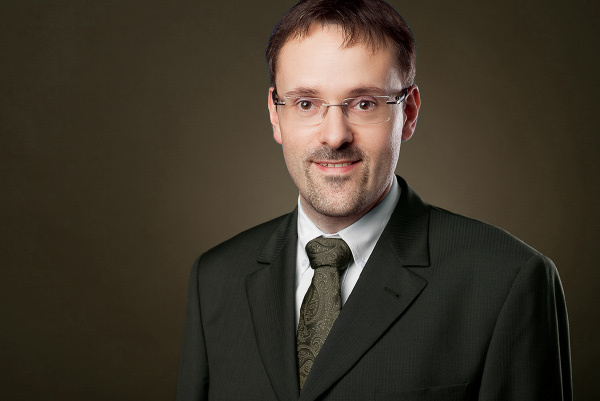 Research initiatives in the Tessonnier group use an interdisciplinary approach combining organic chemistry, materials science and chemical engineering to design a new class of heterogeneous catalysts and catalyst supports for the liquid phase conversion of biomass to chemicals. 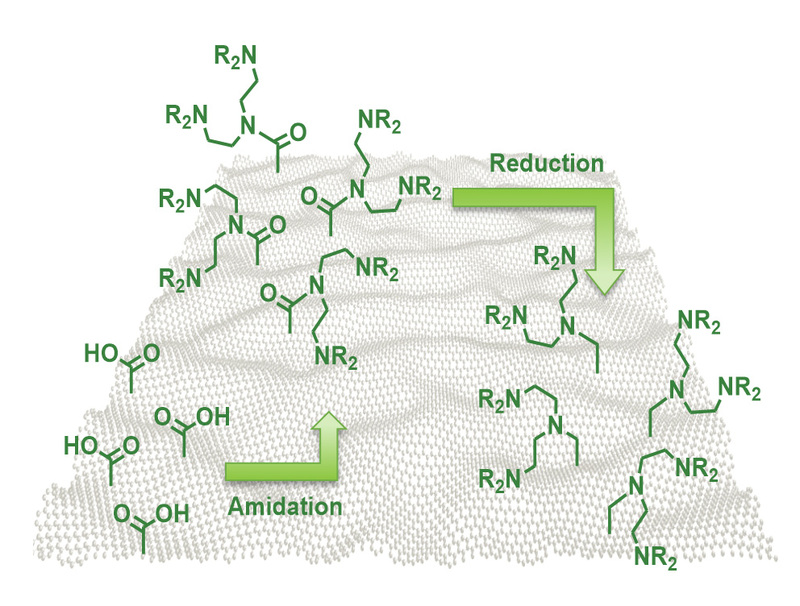 We are especially interested in developing a fundamental understanding of the interactions of carbon scaffolds with the supported metal active phase in an effort to enhance the selectivity of these catalysts. The conversion of biologically-produced intermediates in the condensed phase and in the presence of biogenic impurites presents significant challenges for catalyst development. The Tessonnier group addresses these challenges by exploring and studying novel conversion pathways. In particular, we utlize electrochemistry and aim to understand and design systems around this technology to streamine biological and chemical conversions, enabling the economic production of biobased products. We have demonstrated the potential of electrochemistry/electrocatalysis for the production of polymers from sugars. In this conversion scheme, glucose is first converted to muconic acid using metabollicaly engineered yeasts. 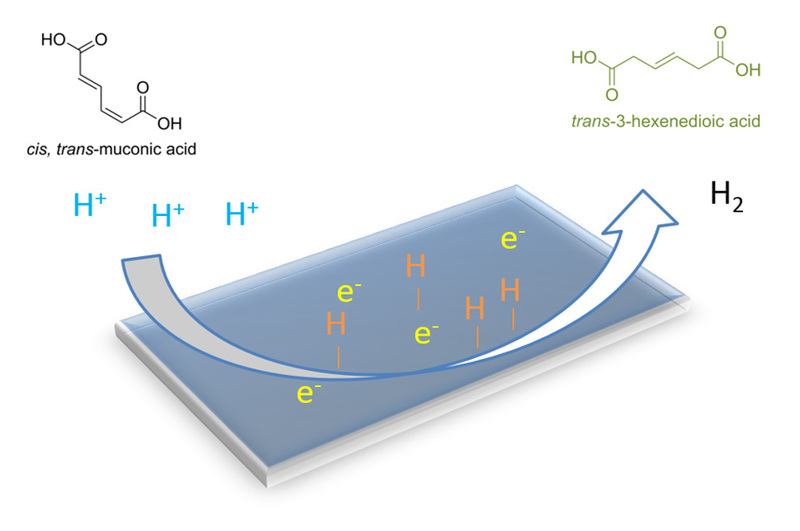 This intermediate is then further electrochemically hydrogenated in the fermentation broth, in the presence of all cells and impurities, to 3-hexenedioic acid, a monomer for the synthesis of bioadvantaged Nylon 6,6. Pyrolysis represents a fast and efficient method for converting raw solid biomass, including agricultural waste, into a liquid bio-oil. The crude bio-oil is a complex mixture comprised of hundreds of oxygenated compounds, making it unsuitable for direct use as fuel or chemical. Adding a zeolite catalyst during pyrolysis significantly reduces the number of reaction products and enhances the selectivity to valuable commodity chemicals such as benzene, toluene, and xylene. 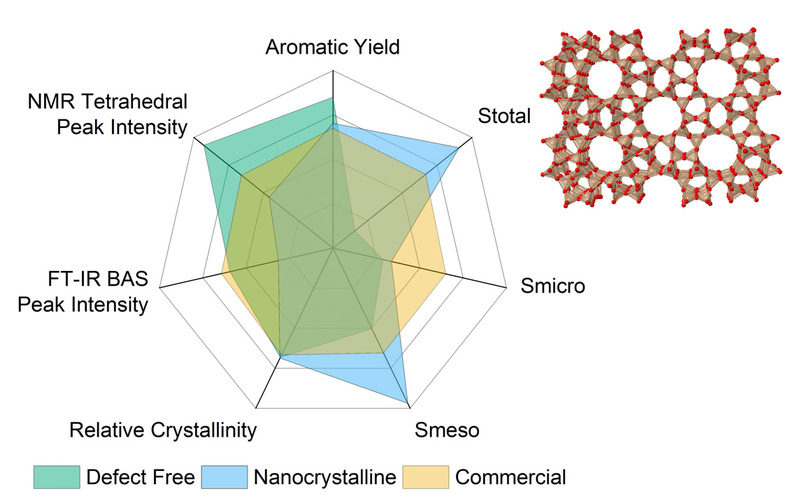 Our goal is to understand how the zeolite’s structural parameters influence the aromatic yield, product distribution, and long-term stability of the catalyst. Our approach consists in combining tailored zeolite synthesis and advanced characterization to identify the structure-function-activity relationships that will set the foundation for next-generation catalysts. The Sabatier reaction, which converts carbon dioxide and hydrogen into methane and water in a single step, was discovered in the early 20th century. This reaction is currently used to purify hydrogen streams for fuel cells and ammonia production, recycle oxygen from metabolic carbon dioxide on the International Space Station, and synthesize methane from waste CO2. NASA is also looking to use the process to produce methane for use as rocket fuel for an ascent vehicle to return samples and astronauts from Mars. While the Sabatier reaction has been studied for a number of active phases and supports, the commercially available catalysts are not suited to the harsh conditions and durability required to reliably produce methane in remote extraterrestrial applications. The Tessonnier group aims to design catalysts than can sustain the harsh and unpredictable conditions associated with the high exothermicity of the reaction and the remote operation location. The developed technology also finds terrestrial applications to produce fuels from anthropogenic CO2.